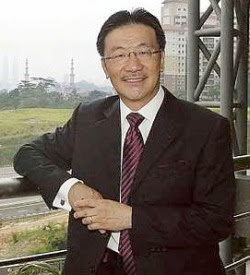 10 questions with Datuk Seri Michael Yam, Real Estate and Housing Developers' Association Malaysia (Rehda) president. This, in fact, is a fairly global problem. The nature of the industry, which entails multifarious activities and processes from design to contract and from assembly to construction and finally delivery of a building with multiple skills in difficult working conditions, makes it challenging. Some of the more common complaints include that of quality, late delivery and products not meeting expectations. Quality problems are related to manpower and skills. It is acknowledged that the construction industry fails to attract workers, especially in the skilled and semi-skilled trades. The perception is that the industry is dangerous, dirty and difficult, and this has discouraged locals from joining, resulting in a lot of jobs being executed by untrained foreign labour. Hence, one of the primary objectives of the Construction Industry Development Board (CIDB) is to train and raise the skill levels of construction personnel. Until the results of this training gain tractionand there is better supervision and higher professionalism, bad workmanship and quality issues are not likely to disappear any time soon. Skyrocketing material costs are outside the control of the developers and contractors. The interest rate increases also put pressure on margins, and weaker developers may have compromised on specifications to maintain their profit margins. Completion delays can be caused by inclement weather, shortage of critical material, mass labour repatriation or a combination of these factors. Nevertheless, house buyers are compensated for late delivery under the Housing Development (Control & Licensing) Act 1966 and the defaulting developer can be prosecuted. It may be comforting to know that no bona fide developer would want to face this consequence as it is not only a drain on cash flow but has serious repercussions on reputation. There are weaknesses in the enforcement of the laws as the time-consuming legal process is often tedious and the lack of manpower and prosecutors does not help either. Some areas have been improved with the establishment of the Housing Tribunal, while forthcoming amendments to legislations are expected to give more bite. Until these are formalised, it is hoped that consumers will do proper research and make due enquiries, especially on the background and track record of developers, before they invest. Building materials will continue to rise and be volatile to reflect inflation and commodity price increases. Rehda has proposed to the Government to remove all sales and import tariffs on materials so that the industry can source from the most efficient producers, and this is being effected. The reality faced by the nation is not how much the property is priced but how to increase the income level and as a result improve household affordability. Rising house prices generally do not affect the quality of raw materials. In fact, house prices rise when the prices of quality materials do. A likely change of specifications or intended use of a particular raw material occurs when the house has been launched at the agreed price, and an unexpected and significant rise in building material costs happens mid-stream of construction. During this difficult situation, where the developer cannot adjust the price, value engineering and search for alternate material will be made to ascertain the next best substitute of the building material. This is normally done only if absolutely necessary and with the architect's agreement. It is almost impossible to determine what a dream house concept is as humans are not rational. They go through cycles of growth and differing family sizes in their lifetime, and each is unique in their needs and wants. The best offer I have is that a dwelling must fulfil parameters that satisfy the person's economic affordability, be environmentally friendly, socially inclusive, part of a community, adequate size to match family unit, low maintenance and operating costs, secured design to suit the user's lifestyle and perhaps even modular to enable the building envelope to expand or shrink to accommodate family size without having to move house. The better fit for purpose, the closer to the person's dream. Little is reported on this unsavoury practice, and it is doubtful if this is extensive, perhaps confined to small developments in very desirable locations. The more reputable developers do not practise this and, in fact, often institute certain procedures such as priority registration, proper queuing system and prohibiting multiple purchases, to ensure transparency and protection of their branding. The best way to deal with this unethical practice is not to buy from the developer in question. Less than 5% of Malaysian properties are owned by foreigners. As a property investment destination, Malaysia is not at the top of the list for global investors, or else the Government would have stepped in to curb unhealthy speculation. Those foreigners that do invest tend to focus only on the higher-priced urban centres of Kuala Lumpur and Penang, and this does not affect the mass market. Many of these so-called foreign buyers are expatriates working in Malaysia, the global talent that the nation wishes to retain. Currently, each state has its own restrictions on to the minimum price of properties that foreigners can buy. In most states, the minimum is RM500,000. For apartments and condominiums, developers are restricted from selling more than 50% to foreigners. If warranted, the Federal Government can always reinstate higher real property gains tax or stamp duty. Labour shortage in the construction industry, including inadequate skills and competency, is a worldwide problem due to the poor perception of the industry, lack of career advancement and poor compensation. Recognising this as a long-term problem, the Government has established the CIDB. Rehda is on the CIDB advisory council and board to look at the industry holistically. The CIDB has drawn up the Construction Industry Master Plan, a comprehensive road map of strategies to improve skills, to be less reliant on manual labour and to increase productivity. Some of the plan's outcomes include the promotion of the use of IBS (industrialised building system), establishment of construction academies for skills training, and benchmarking remuneration. We have been asking the Government, especially in our pre-Budget proposals, to review the price cap for low-cost housing to reflect current prices. Recent tenders for low-cost apartments have shown that the construction cost alone is now more than RM70,000 per unit. This increasing subsidy by developers is affecting their efficiency and they have to look at avenues to fund the shortfall. Low-cost and social housing should be undertaken by government agencies. With such a shift, the Government can tax developers more because their profits have increased as a consequence of being released from the obligation to build low-cost and social housing. The Government should also review the need for so many low-cost units which are administratively imposed by bureaucrats. As we move towards higher income nation status, the continuous supply of low-cost units is a mismatch of needs. In fact, some of these units are either vacant or let out. We acknowledge that these issues have not been totally eradicated. However, they have been reducing with the continuous tightening of the Housing Development Act. The development industry is like any other business dominated by SMEs some companies are better managed than others and some products are superior than those of competitors. Consumers are now more educated and savvy, and I believe, the bad hats will be weeded out in due course due to stiffer competition and buyers being more selective. Rehda has introduced four core values for members to ssimilate, namely the 4Rs Respected, Responsive, Responsible and Relevant. Our rigorous training programme through the Rehda Institute aims to equip members with the knowledge and understanding of the industry and seeks to impart good practices, discipline and embed in them the culture of the 4Rs. I believe that Rehda members will perform due to this promise and peer pressure of fellow members. It gives me the opportunity to listen to the woes and challenges of developers throughout Malaysia. It also enables me to work closely with senior government officials when consulted in forwarding the interests of the industry. It gives me an eagle's eye view of the complexities of the industry against the backdrop of national interest and agenda. It is a rare privilege indeed to be able to provide input that will have far-reaching impact on the greater good of the industry and the economy, and to work with highly qualified, professional and articulate council members. Rough as the journey may be, I am honoured to be a small cog in the wheel of change that will hopefully lead to the industry satisfying most, if not all the desires of the property buyer. Will you pls shut up! Ya... tighter restrictions and laws should be enforced on those immorale developers who practises faudulent business and intend to cheat buyer's money only! I think the perfect scenario would be govt remove tax on building material costs and developers set the house selling price lower. but I think this is unlikely going to happen.